A celebration of their new family addition, the blue sapphire was hand selected to perfectly match the color of their newborn son’s eyes. Two gemstones are set on the back to represent their family. Hand-carved on the back of the pendant are their children’s initials and a tree found in the Pyrenees, where they share their second home - their first vacation spent as a family of four. 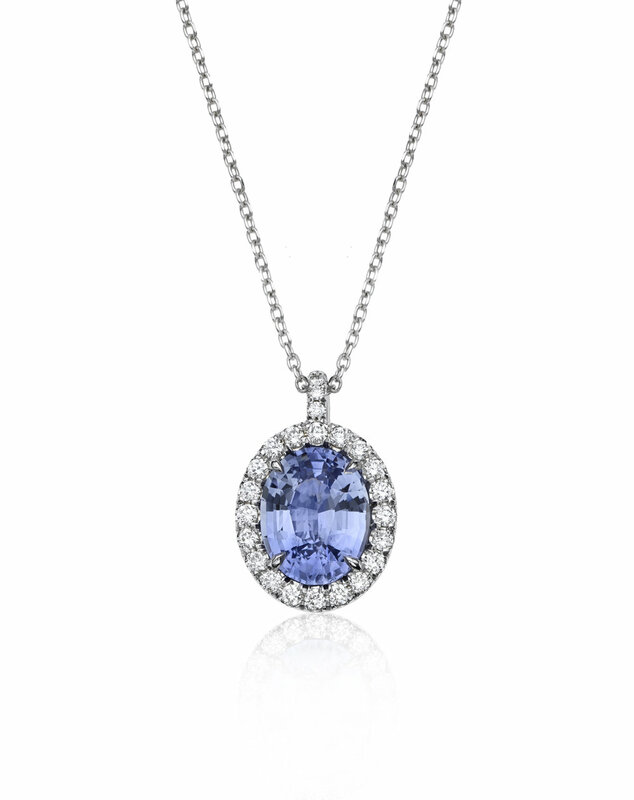 The I & J Pendant features an oval blue sapphire chosen for its light blue hue and perfect cut. The gemstone is framed by white brilliant diamonds set to partner with the gemstone perfectly. Timeless and classic, this is the perfect everyday piece to honor a meaningful milestone.